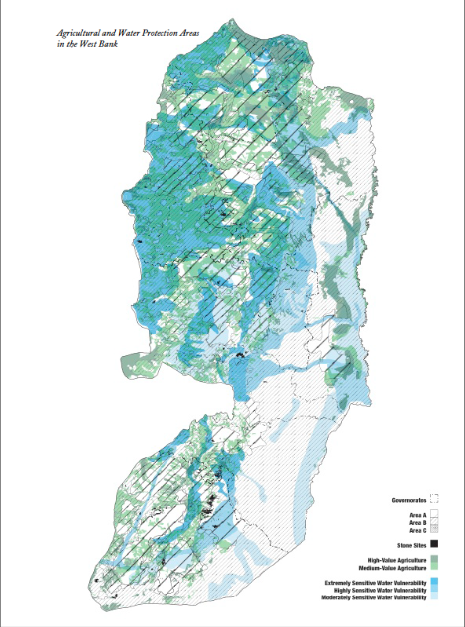 A map of the geology of the West Bank superimposed over a map of stone extraction sites. While the sacredness of the stone has stripped it of common use, commonality can be found in the narration of geological history. For a moment this type of history enables us to see Palestinian stone and Palestine itself outside the realm of its omnipresent politics: as a place ungovernable by state apparatuses. 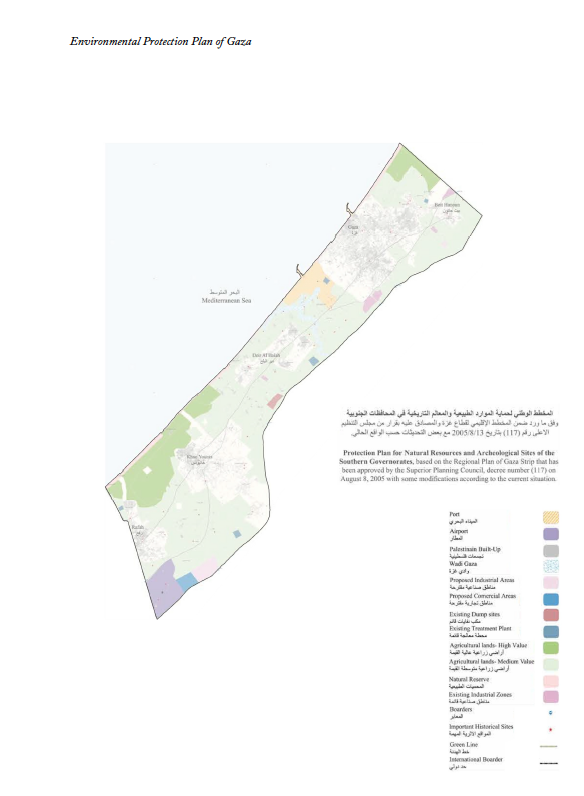 The layers of rock and sand that diffuses from Rafah to Nablus describe an inevitable kind history that stands in resolute contrast to the conflict of histories that is present on the socio-political level. While the story of extraction is one of power, exploitation, and environmental damage, the sites of abandoned quarries and factories enable us to consider the malleability of contemporary history. In order to document sites of extraction, DAAR used aerial photo mapping techniques. 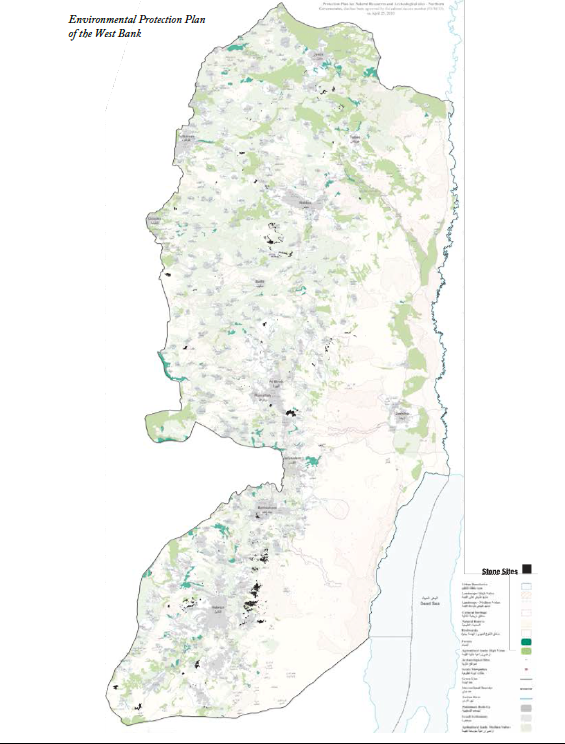 After mapping the industry, this map was superimposed onto a map of the official Environmental Protection Plan of the West Bank and Gaza. By mapping the conflicts between the EPP and extraction sites DAAR was able to identify the sites in which industry is interfering with valuable agricultural land and water protection areas as well as archaeological sites, biodiversity, and natural reserves. In doing so, DAAR was able to develop and propose a regulatory system for planning, operations, and licensure of the industry that is compatible with the EPP and government policy.